Dear Mycophilies, that wonderful time of year has finally arrived. 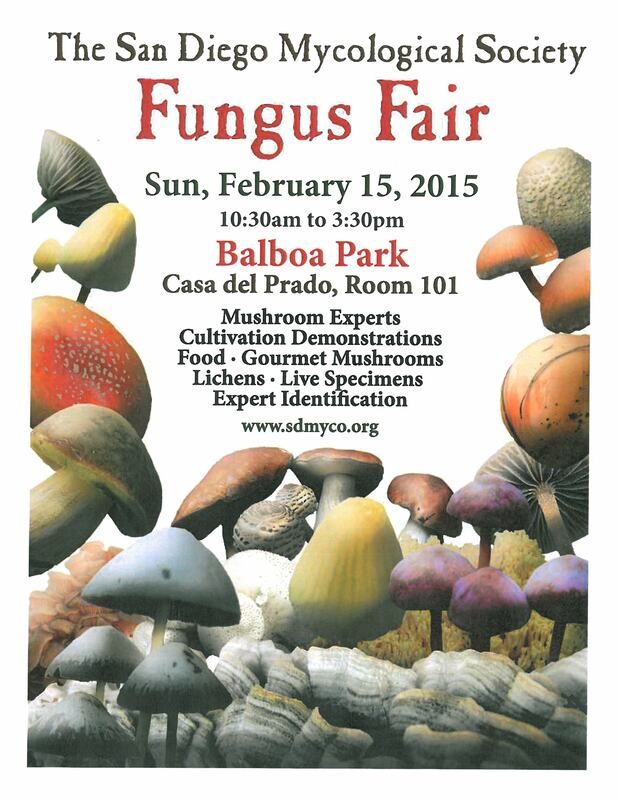 The SDMS Fungus Fair is this Sunday February 15, 2015 at the Casa Del Prado from 10:30 am to 3:30 pm. 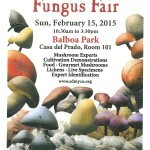 We will have excellent presentations, a cultivation demonstration, a large number of identified mushroom species to view and even mushroom cuisine (from Girard Gourmet) for purchase. We will also have activities for kids.